The Peoples Democratic Party prepares and offers this working paper on J&K as an act of hope. The hope lays in the belief that if the decision- makers and responsible political parties discern the categorical imperatives that have impelled this formulation, realize its intent and motive and examine its contents on merits, objectively and realistically, and not on partisan considerations or with chauvinistic mind-set, it will be possible to forge a consensus on the way forward. The Peoples Democratic Party is not presenting a solution; nor does it pretend to have one. Indeed, it is our belief that roadmaps prejudge the issue; readymade solutions make the problem a distorted image of what it actually is; and models make a mockery of specificity of the issue. As such, what we have attempted in this document is an internally consistent framework and indicative direction for resolution. We have tried to contextualise the issue at various levels and drawn the contours of a process for building sustainable peace in the State and the region. The essence of this document lies in trying to suggest a creative framework for resolution of the issue without compromising the sovereignty of the two nation states involved. We are convinced that various proposals and measures, as fleshed out in this document, address both the internal and the external dimensions of the problem in, and about Jammu and Kashmir, in a manner that is realistic and practical. Our effort has been to root these in the ideals of justice and empowerment for all the people of the State. We see our recommendations, as catalysts for change and instruments for fulfilling the aspirations of all the peoples of J&K, and regions and sub-regions of the State. We have not looked for solutions in the past, but we have made an effort find a way in the future. Areturn to the past may not be possible – indeed, if may not even be desirable. The past offers no hope. Our party recognises that we are living through a period where definitions of cultures, societies, sovereignty, and nationality are changing very rapidly and radically. All these issues have gone through a large number of transformations and sometimes, dramatic shifts. The world has undergone a change and we have to be a part of that changed system. 1. The J&K issue cannot be resolved on the basis of exclusively intrastate level initiatives. It requires a combination of intra-state measures with inter-state and supra-state measures. This approach, which is underlying the concept of self-rule, is a practical way that would eliminate the sources of ethno-territorial conflicts, entrenched in the traditional notions of sovereignty, self-determination, national and ethnic borders. 2. Self-rule is a formulation that will integrate the region without disturbing the extant sovereign authority over delimited territorial space. It doesn’t impair the significance of the line of control as territorial divisions but negates its acquired and imputed manifestations of state competition for power, prestige, or an imagined historical identity. It is a way of “sharing sovereignty”, without need or commitment to political merging. It is based on the creation of innovative international institutional arrangements that have a political, economic and security character. Self-rule encompasses the society, the state, and the economy. Self-rule, being a trans-border concept, has a pan-Kashmir dimension but at the same time seeks to regionalise power across J&K. iii. Constitutional restructuring that ensures sharing of sovereignty without comprising political sovereignty of either nation state. 4. The centrepiece of the governance structure under self-rule is the cross border institution of Regional Council of Greater Jammu and Kashmir. The Regional Council of Greater Jammu and Kashmir will replace the existing Upper House of state assembly, and will be a kind of a regional senate. Members of the Regional Council will be from J&K as well as from Pakistan administered Kashmir. At present the state assembly of J&K holds 20 seats for representatives from across the line of control. These will be given up and replaced by the same number of seats in the Regional Council of Greater Jammu and Kashmir. This will serve as a major cross-border institution, which will ensure long-term coordination of matters and interest relating to the state. 5. Moreover, such an institutional structure will provide a framework within which certain matters between the two parts of the State and their respective mainland, that need to be sorted out to infuse in people a sense of empowerment and a feeling of belonging. This will require devising an improved constitutional, political and economic relationship between the two parts of the State and their respective main lands. 6. In order to empower various sub-regions within the J&K state, a tier of sub-regional councils, will be added to the domestic legislative structure. While the national Parliament will have representations to the sovereign, the state assembly will continue to be a sub-national institution, the sub-regional councils will complete representative character of governance by bringing in the territorial representation in the state. 8. The process of economic integration of the two parts of Jammu and Kashmir can start with the easiest form of economic integration, a Preferential Trade Agreement. In the PTA the two countries, India and Pakistan would offer tariff reductions, or eliminations confined to the geographical boundaries of “Greater Jammu and Kashmir” and restrict it to some product categories. Stage II would be to make GJAK a regional free trade area, with no tariffs or barriers between with GJAK, while maintaining their own external tariff on imports from the rest of the world, including India and Pakistan. GJAK will set a common external tariff on imports from India and Pakistan. 9. Further, instead of looking for a monetary union, a new system of “Dual Currency” will be created, where the Indian and Pakistani rupees are both made legitimate legal tenders in the geographical areas of GJAK. Abetter description of this system is a “co-circulation of two currencies” in J&K. It is being proposed that Indian and Pakistani rupees should be the medium of exchange in J&K. To be more precise, it means, allowing circulation of the Pakistani rupee in the Indian part of J&K currency and circulation of Indian rupee in the Pakistan administered Kashmir. This has to be done if we want cross the Line of control trade to flourish. 10. Our vision is to move towards an economic union, which will maintain free trade in goods, and services, set common external tariffs, allow the free mobility of capital and labour, and will also relegate some fiscal responsibilities to a supra-national agency. 11. Consistent with our legislative design, the economic integration will be deepened through sub-regional integration; that is formation of different sub-regional groups. Appearance of different sub-regional projects can generate multi-speed integration. It needs to be understood that GJAK is being proposed as a regional organisation to facilitate political cooperation as well as promote cooperation between India and Pakistan, and regaining Kashmir’s place at the heart of Central Asia. 12. Self-rule cannot exist without adequate constitutional safeguards. As the Constitutional position stands today, Article 356, undermines the core of Self-rule and has to be made non-applicable to J&K. In a similar vein, Article 249, applied to the State in amended form, should be rolled back so that the Parliament cannot exercise legislative jurisdiction over a matter that, otherwise, falls under the State jurisdiction. 13. Sixth Amendment of the Constitution of the State that undermines its original scheme of a comprehensive and accountable executive (inclusive of the Head of the State) a critical component of Self-rule, will have to be repealed. Prior to this amendment, the State Legislature elected Sadar-e-Riyasat, the head of the State. 14. The proviso, limiting the powers of State Legislature, has been added to Article 368, which deals with the powers of the Parliament to amend the Constitution of India and not the power of State Legislature to amend its own Constitution. The proviso is, therefore, totally and grossly out of place and ultra vires the constitutional scheme. The State Legislature’s constitutional power of amendment is the core of empowerment or Self-rule of the State and this cannot be destroyed by an order passed under Article 370. All India Service Act, 1951 and Article 312 be rolled back and the local human resources are provided clear and unhindered opportunity to develop their full potential and it is trusted to manage the affairs of the State. 15. 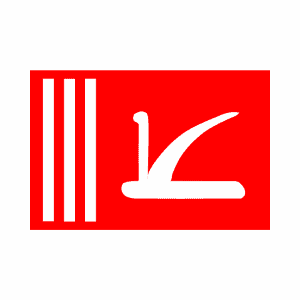 It is a part of the design of self-rule that Head of the State be elected from the regions of Jammu and Kashmir by rotation. This shall give to the people of all the regions an equal and equitable sense and feeling of empowerment and shall strengthen their bonds.